Fluid Controls can supply many different sampling pumps from ADI’s line. All of the pumps in this range offer 100% oil-free, contamination free, corrosion resistant and leak free sampling. These reliable Dia-Vac® pumps are exceptionally quiet at all pressures and in most applications they can be operated for extended periods without the need for maintenance. 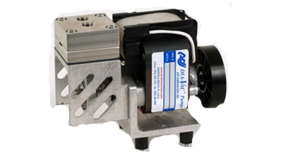 The B-Series Dia-Vac® pump is the smallest pump in the ADI range, giving exceptional quality, reliability and affordability. 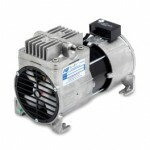 This pump is available with brush/brushless 12/24v DC or 115/230v general purpose shaded pole motor options. The B-Series general purpose AC motor is UL and cUL recognised and CE approved. J-Series Dia-Vac® gaseous diaphragm sampling pumps are totally self-contained and may be used for either portable or built-in applications. These pumps are economical oil-free, contamination-free and leak-free diaphragm pumps which offer up to 13 SLPM, 23 InHg, and 29 PSIG in a single head configuration. 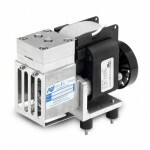 J-Series Dia-Vac® pumps are extremely quiet and are available with aluminium or Teflon-coated aluminium wetted parts. These are definitely an ideal choice for OEM customers. M-Series Dia-Vac® pumps are perfect for use in industrial plants, process control, environmental and remote sampling as well as an excellent choice for OEM customers that are requiring customised gaseous vacuum or pressure sampling. 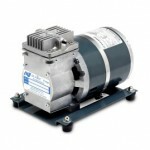 With the special capacitor run feature and its oversized fan, the reliable M-Series Dia-Vac® is designed to provide you with cooler operating temperatures than various other pumps of its size that are on the market. You can rely on the M-Series Dia-Vac® for constant operation, even under load conditions. 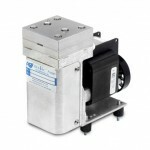 This pump has heavy duty bearings and built in overload protection in the motor. The M-Series Dia-Vac® general purpose motors are UL and cUL recognized and CE approved. The rugged R-Series Dia-Vac® pump has withstood the test of time. With the many different options available, R-Series pumps can be utilised in nearly any application you have or ADI can customise the pump to meet your specific requirements and needs. The pumps are available with general purpose open drip proof, TEFC, brush-type DC, air driven and explosion/flame proof options. The maximum performance of the pump is 0-29.5” HG, 0-150 LPM, 0-75 PSIG. Call us on +44(0)118 970 2060 or email fluid@fluidcontrols.co.uk for more information.